In approximately 147 hours I will be running through tear gas and smoke bombs, participating in my first-ever Tough Mudder. Projected air temperature? 59 degrees. Projected water temperature? Don’t want to think about it. For a taste of what we’re going to be doing, check out the video below. You can now preorder my latest book, My Amish Roots. In the book I tell the stories of my family, the last 10 generations of which were Amish, and reflect on the twist and turns through history that led to my existence. Take a look at it or preorder HERE. Bryan ordered an omelet for breakfast this morning. His unbroken streak of ordering omelets for breakfast continues, along with my inability to spell omelet on the first try. Stay tuned over at his blog for some exciting stuff coming up. In the next couple of days I’ll be posting a Q&A with one of my favorite local writers, Janet Oberholtzer, regarding her new book, Because I Can. Like her Facebook page, or find out more about her amazing store, HERE. Our chickens finally started laying eggs. I think they recognized how close they were getting to joining their friends already in our freezer. 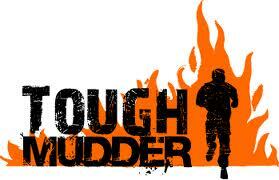 The Tough Mudder looks like the worst thing in the world. Good luck with that. While omelet might be your spelling kryptonite, mine is undoubtedly privilege. Why does that word not have a “d” in it? I mean, come ON. Maybe you can’t spell privilege because you’re anti-privilege. Maybe I can’t spell omelet because I’m anti-…wait, that doesn’t make sense. Thanks for ordering my book! Can’t wait to send it to you. i second alise–worst ever! um, have fun? If fun can be had at the bottom of a lake of freezing cold water, I will have it. Thanks! Thanks, Kit. And wow, that looks intense. Are you seriously going to do that? If all goes well with my 1st marathon in January, this is my next goal. It is gonna be tough for sure.